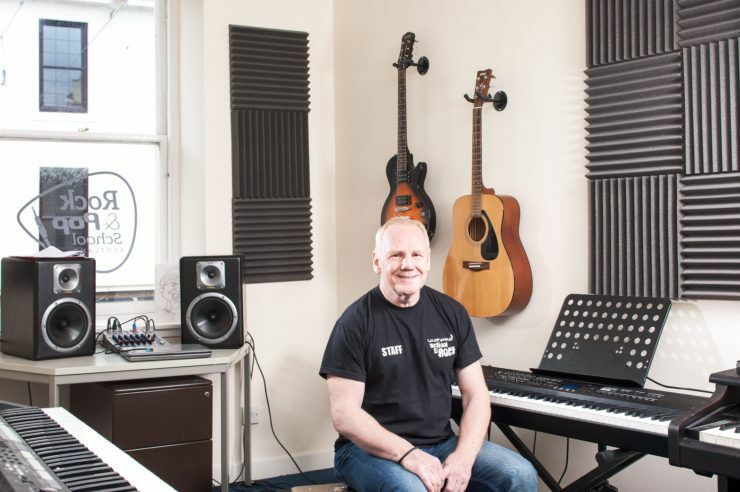 Local musician Ciaran Whyte is one of the stars of our new campaign. Ciaran was pictured busking outside Paisley Abbey and, as he tells us below, playing your music in the town gives you a unique insight into the place. Tell us a bit about yourself and how you came to get involved with Paisley Is? 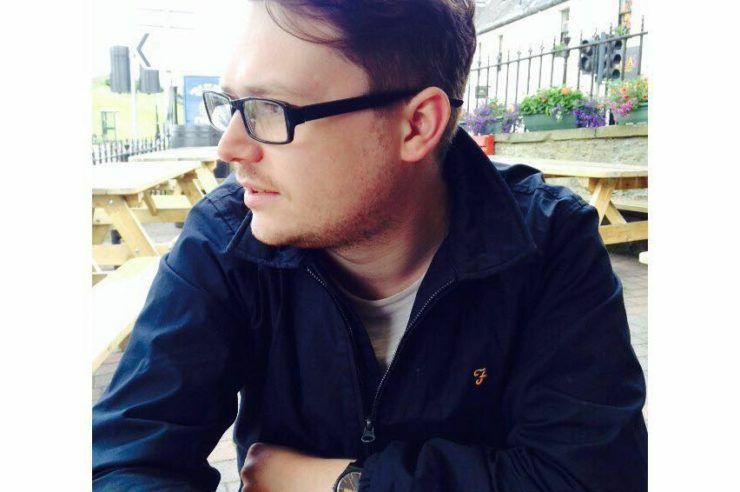 I’m a 20-year-old full-time musician from Ralston and I’ve lived in Paisley all my life. Drumming is my greatest musical love, but I also play guitar and sing. Tommy McGrory from Loud n Proud suggested I might be a good person to have my photograph taken! I’ve always known Tommy from being around the local music scene…I’m not even sure now when our paths first crossed, it’s probably so long ago! 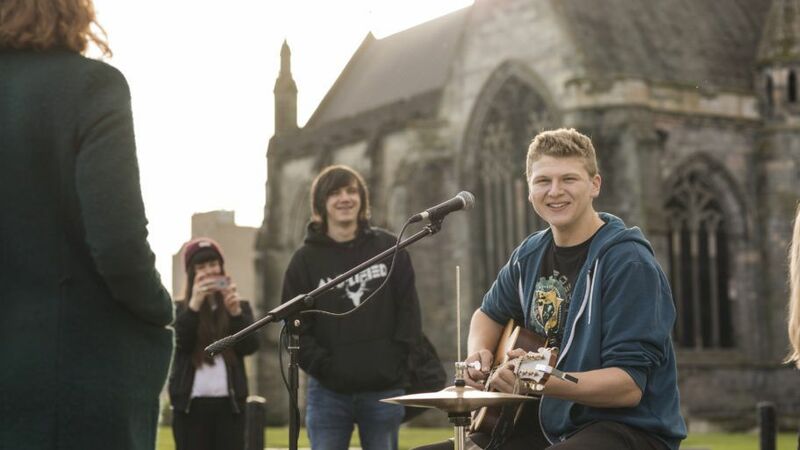 What’s it like busking in Paisley town centre? I love it! I’ve been doing it on-and-off since I was 16 and still get a buzz off it. People always say ‘Why don’t you go into Glasgow?’ but you get such a great reaction to your music here. People get to know your face and stop for a chat. I try to mix it up to reflect how the town changes during the day. In the morning, when all the students are coming into town, I’ll play something from Flight of the Conchords or a bit of Tenacious D – that normally gets a few smiles. Later in the day, I’ll do some more for the oldies…and I’ll do requests, but only if I know how to play it! I bring in my full drum-kit and I think people are always impressed at the effort to bring in all that gear. What do you think about Paisley? I really like living here – it’s home. It’s such a friendly place, and everyone has always been so encouraging to me about my music career. And…it’s home to my football team, St Mirren. 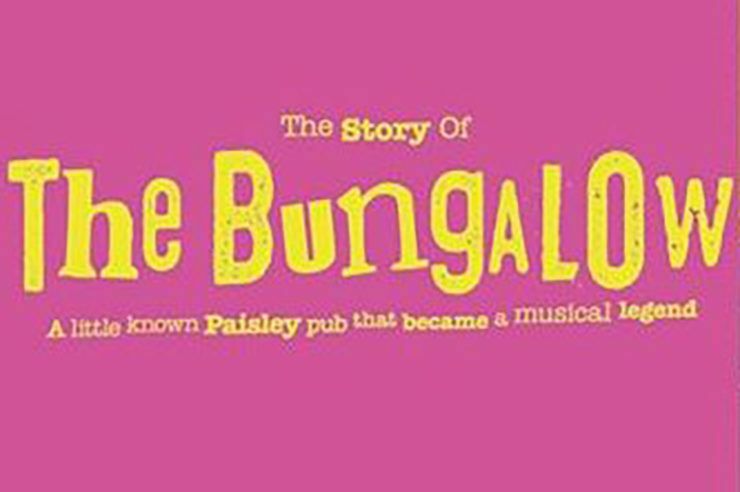 If anyone was going for a night out in Paisley, I’d recommend a few beers in The Last Post and De Beers, and a game of pool in Caffufals, followed by a trip to Mr Kebab – that’s a Paisley experience! If you’re in the town during the day, I’d say, just take a walk around the town and pick up the vibe. Walk down one of the streets and you never know what you’ll see. Adventurous. And it punches above its weight. Even with Glasgow so close, it’s something special that it has so many gigs, festivals, things like The Spree, and so much great music.